Compatible with EVABarrier 8 mm OD Tubing (D1717 & D1718). 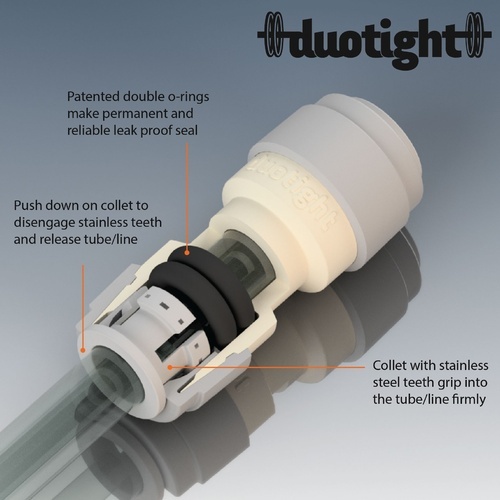 This Duotight fitting with 1/4" Flare is perfect for flared gas and beverage ball lock and pin lock disconnects. Can also be used to connect gas line to the flare fitting found on MKIII and KOMOS CO2 regulators.